Our sweet Lola is also deaf and she came to us from a high-kill shelter. Lola is an older gal who is pretty set in her ways. She can be moody; some days she doesn’t want anyone to touch her or come close to her. Fortunately the way our facility is set up, she can run out into a play yard without us touching her if that’s what she needs. Lola loves to go for walks and explore, but she absolutely cannot go in cars without a proper transport crate, as she takes possession of the car and won’t come out or let you in. Oscar – Oscar has been at Speranza for about 3 years now. He was found as a stray and once he arrived here we soon realized that he had certain triggers. Soon after he came he inflicted a serious bite to Janine’s face – however, it was a ‘bite and release' and we understand what triggered him. Oscar can be walked by volunteers as we now understand his issues and he can safely be handled by all. 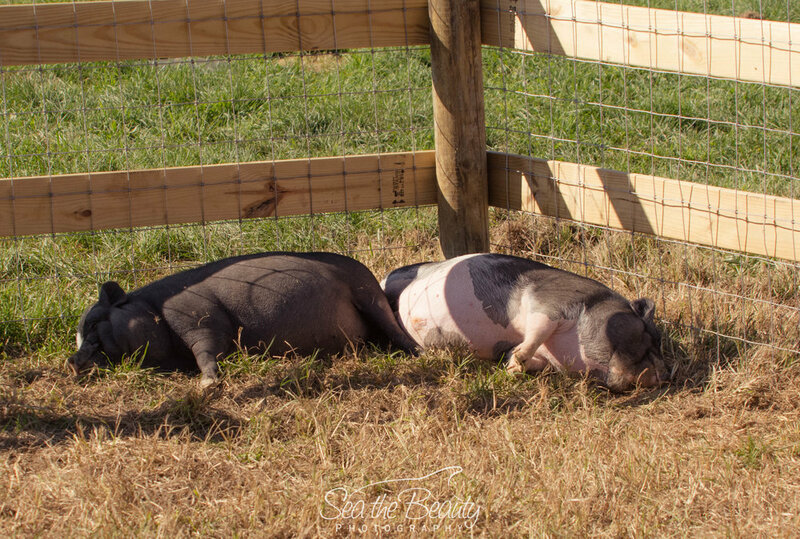 Speranza Animal Rescue is currently the home to eight pigs, one hog and a seven pit-bellies. The three smaller pigs, Pumba, Piggy Smalls and Elvis Pigsley, live together and the 5 others live together. Noodle and T-bone were both destined for slaughter from a local farm before Janine stepped in and brought them to Speranza. 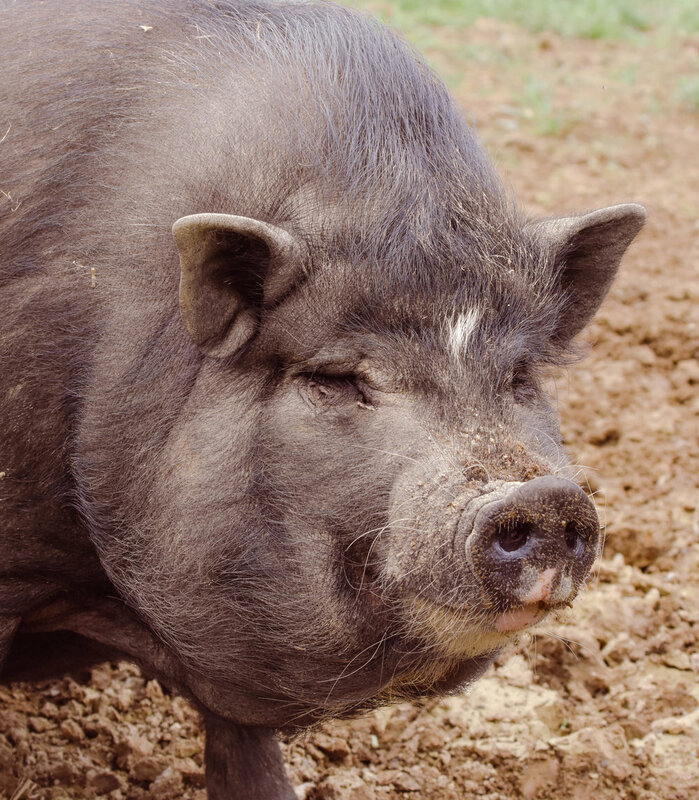 Simon has belonged to Janine’s mom for more than 15 years and is the patriarch of the animals at the farm. He is a gentle old man who has Cushing's Disease and requires daily grooming, medication and regulated pasture time. He has had a great life and is very loved. athletic show in the pastures for all to watch. Einstein and Chloe have both been with the Guido family for years and are retired from their days of being shown in horse and pony shows.